Any individual who is not a computer literate is considered non- worthy. The wide spread usage of the IT field has necessitated in a demand for IT professionals. This year NCFT Heights - Centre Head Meeting was held at Kodaikanal. Franchise Members from all over south india were participated and the event was held in a grand manner. 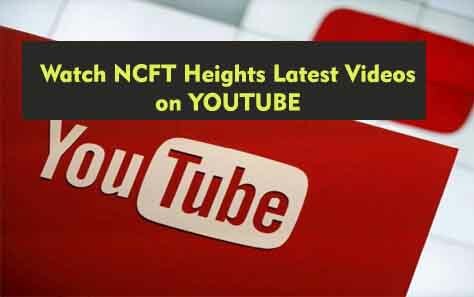 NCFT Heights spreads their wings to all over india. For the part of this, we are stepping into another milestone. Our new franchise in god's own country - Kerala. "Every day is a fashion show and the world is the runway". NCFT Heights - Academic Fashion Event 2013 will be held at stering resorts, Kodaikanal.